Property Details: 3 BR, 2 BA Gulf-front Home with over 1350 sq. 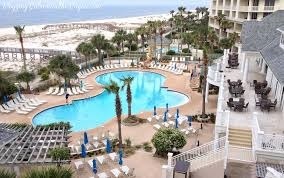 ft.
Beach Club condo, resort home in Gulf Shores. This one of a kind residence is located on the Fort Morgan Peninsula and has been exceptionally well furnished – the property offers amazing views to the west – enjoy spectacular sunsets from the spacious balcony. All bedrooms are beautifully decorated and have top of the line bedding and mattresses. The master bedroom suite has a sitting area and an incredible customized bathroom – updates are throughout the beach condo. The Beach Club is secluded, but offers an array of resort activities including several large pools, restaurants, tennis courts, a spa, salon, exercise facility, shopping and more. You must see this home…visit this Beach Club Condo in Gulf Shores AL. Perdido Key FL Condo For Sale, La Riva - Asking Price: $990,000 - 4 Bedroom, 4.5 Bath Beach Front Home with over 2900 sq. ft. Address: 14241 Perdido Key Dr, Perdido Key, Florida 32507 Perdido Key Luxury Beach Real Estate Beach Front Condo Home - "With its elegant lobby, exquisite amenities, low density and 520' of gulf front you will find..."